I am on a baking spree...:)..When i had posted the recipe of chocolate banana cake, many of my friends had asked me for a egg less version of it. 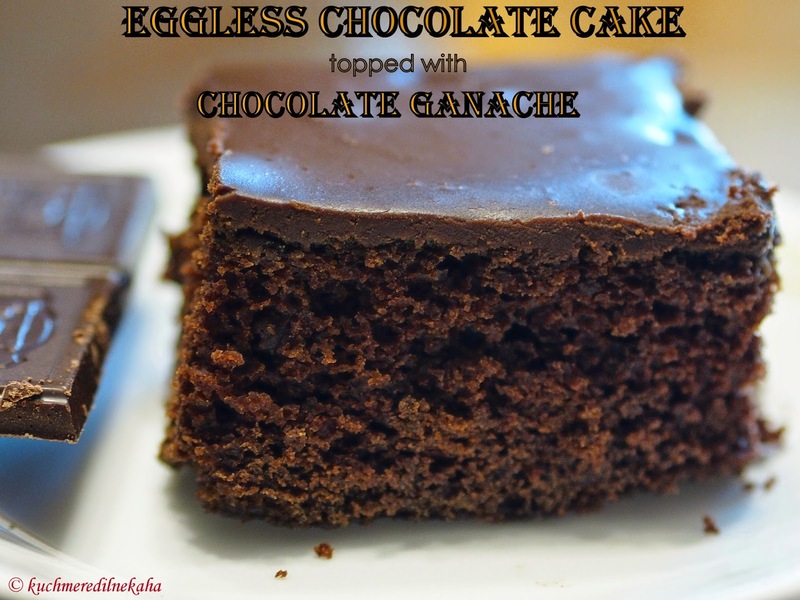 So this is a yummy chocolate cake that does not use eggs. Its very easy to make and hardly takes anytime in the preparation. This cake can be served as is or just dust it with some icing sugar. 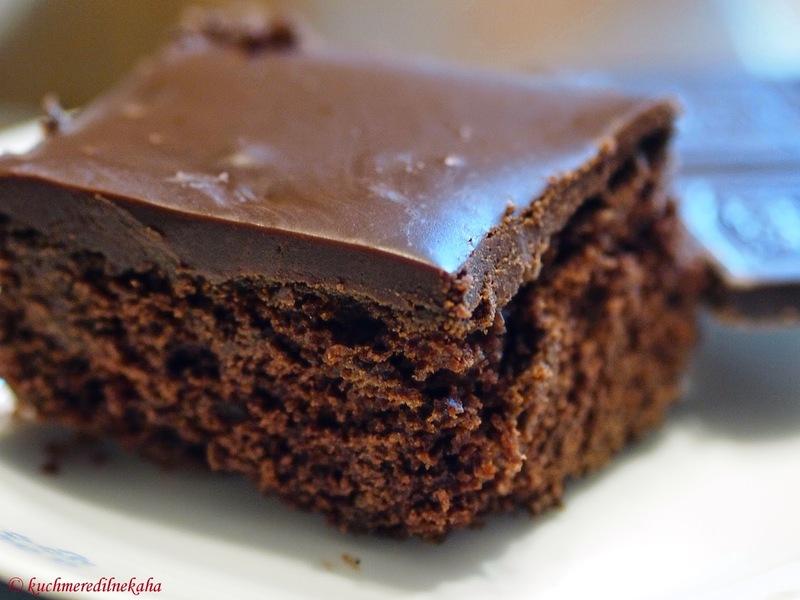 But if you want give it some added richness, top it with a chocolate ganache. NOTE:It is important that the measurements are accurate. As I always say I stress more on the "Weight in grams". Preheat the oven to 350 F (180 C). Place the rack in the center of the oven. 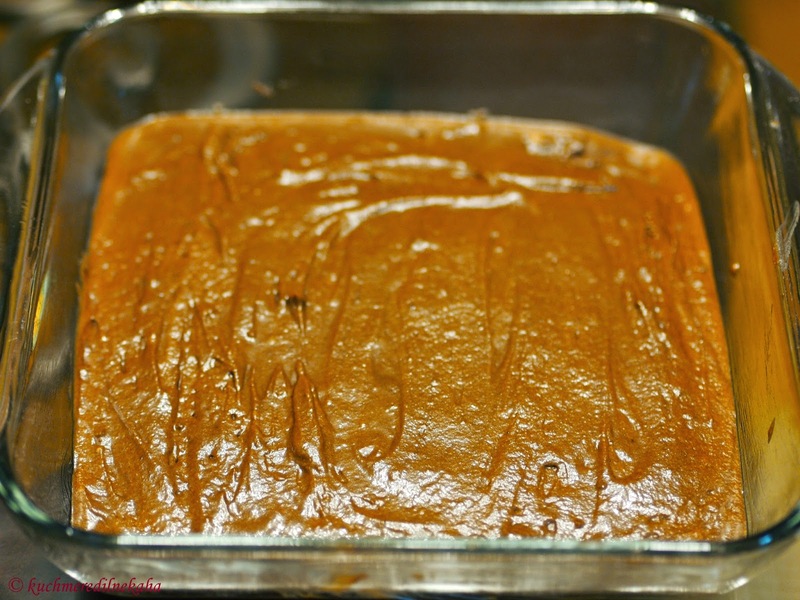 Grease an 8 x 8 inch pan with butter or with a nonstick spray. 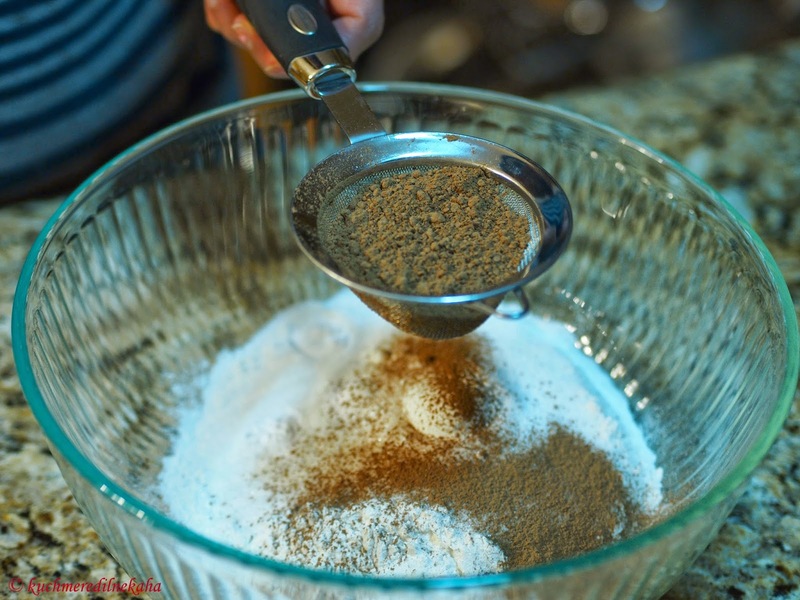 In a large bowl, take the sifted flour, sugar,sifted chocolate powder, salt,baking powder and baking soda. 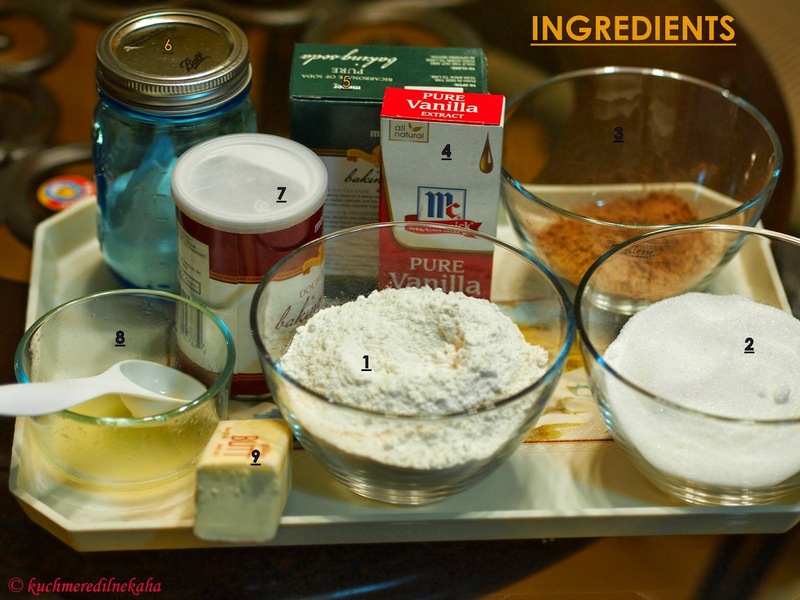 Now add the wet ingredients like warm water, lemon juice, melted butter and the vanilla extract. Mix well with a whisk or a fork. Pour the batter in the prepared pan. Bake it in the preheated oven for 30 minutes or until the toothpick inserted at the center comes out clean. Note: The baking times might vary from oven to oven. 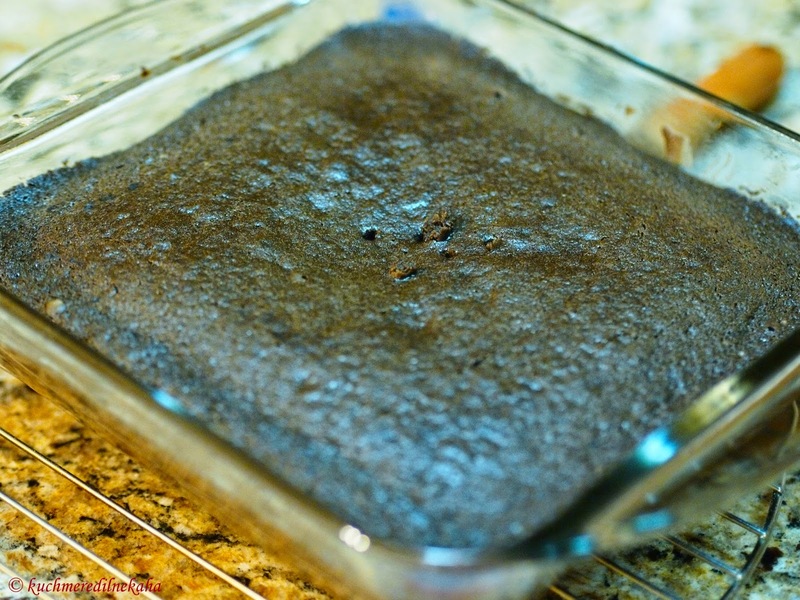 Once baked, take the pan out of the oven and let it cool on a wire rack. 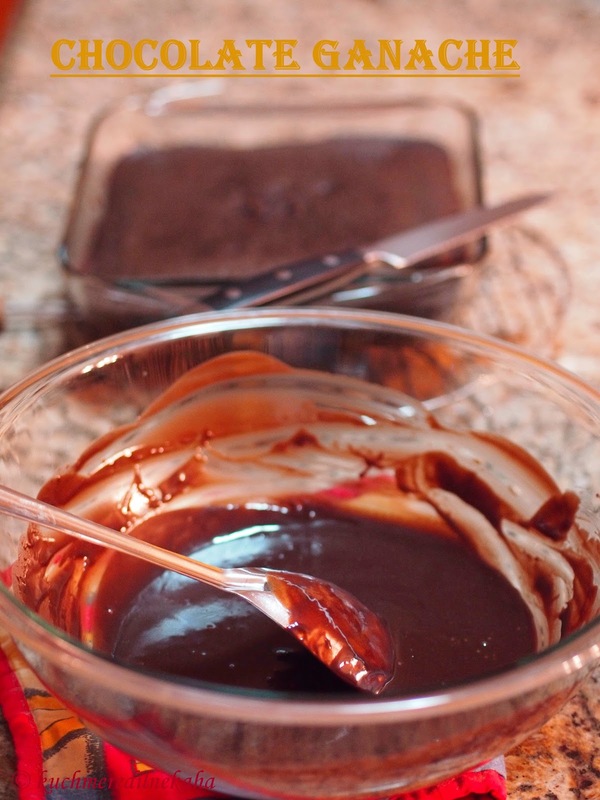 While the cake is cooling, its time to make the ganache. Ganache is nothing but chocolate mixed with cream. 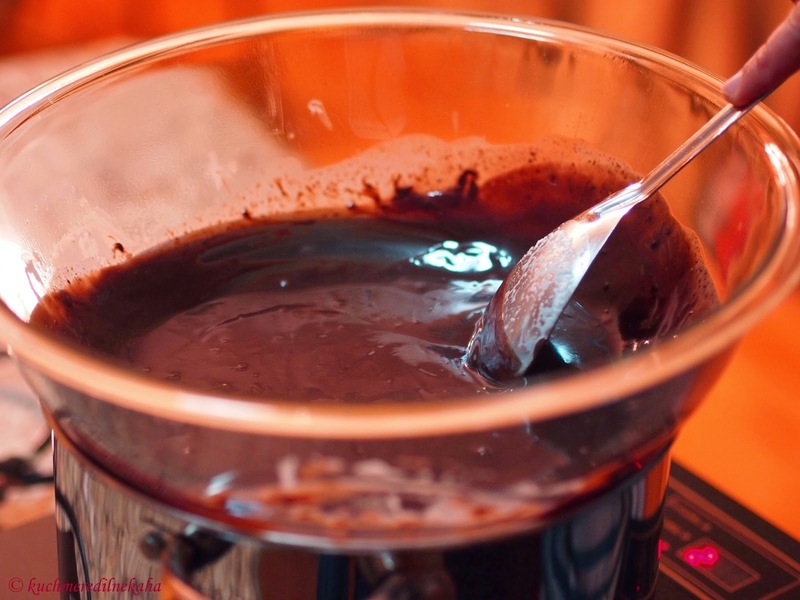 There are different ways of making a ganache. 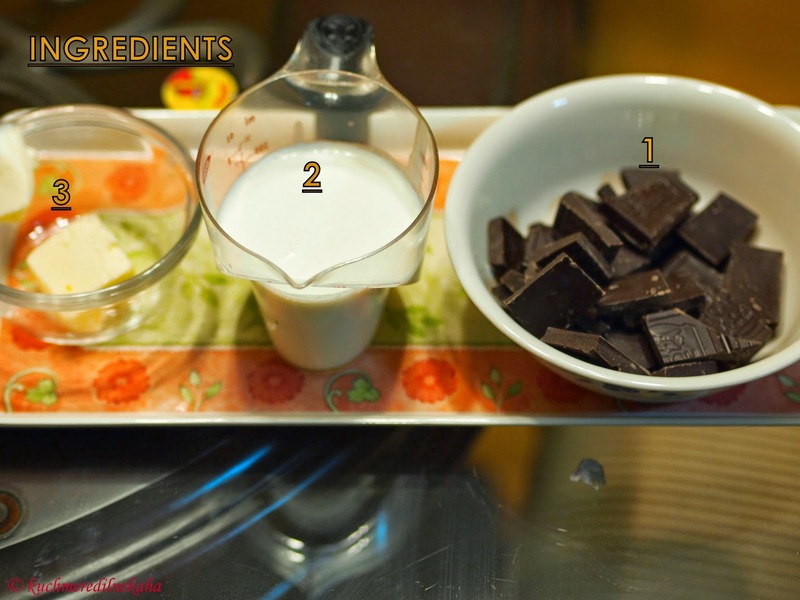 You can pour hot cream over the chopped chocolate pieces and mix it till the chocolate melts. 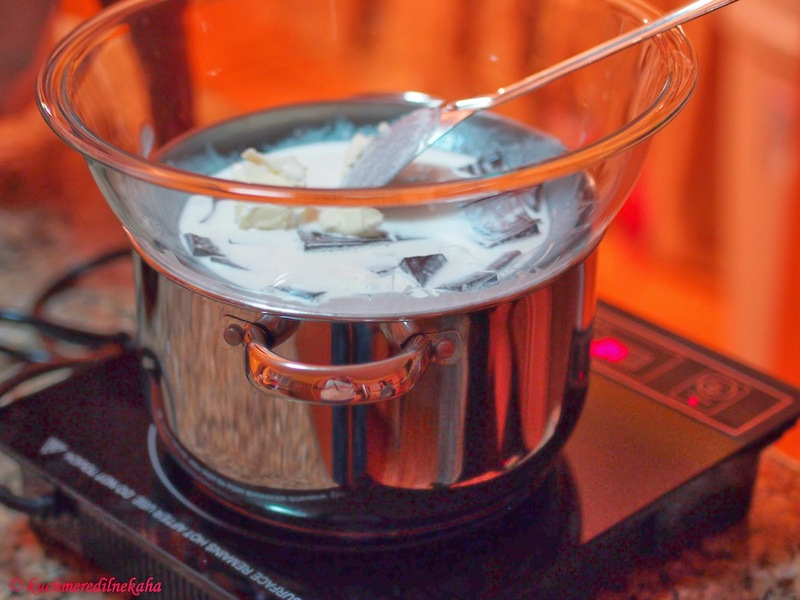 Another way to do is, take chocolate pieces and cream in a microvawe safe bowl and heat it till the chocolate melts. I will show you all a different approach to make this. Heat water in a large pot. Now take the chopped chocolate pieces, butter and the cream in a heat proof bowl and keep this bowl over the pot of simmering water. 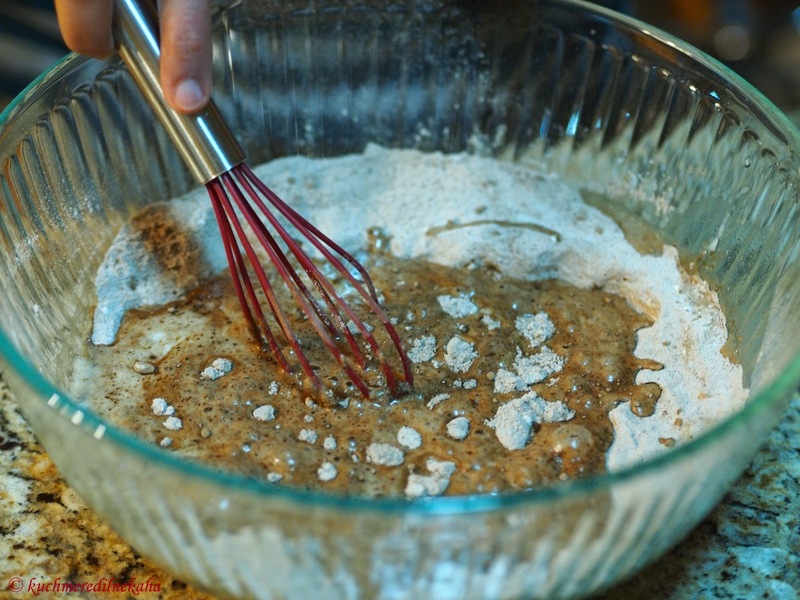 Mix well until you get a smooth paste. Once the chocolate is all melted and mixed with cream, it is going to be very liquidy. Let it sit for sometime. 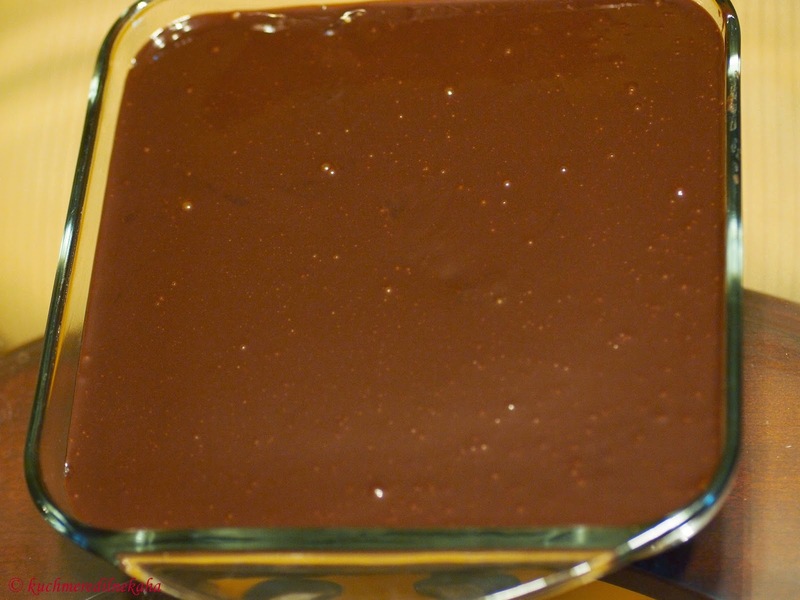 As it cools down, the ganache starts to thicken. 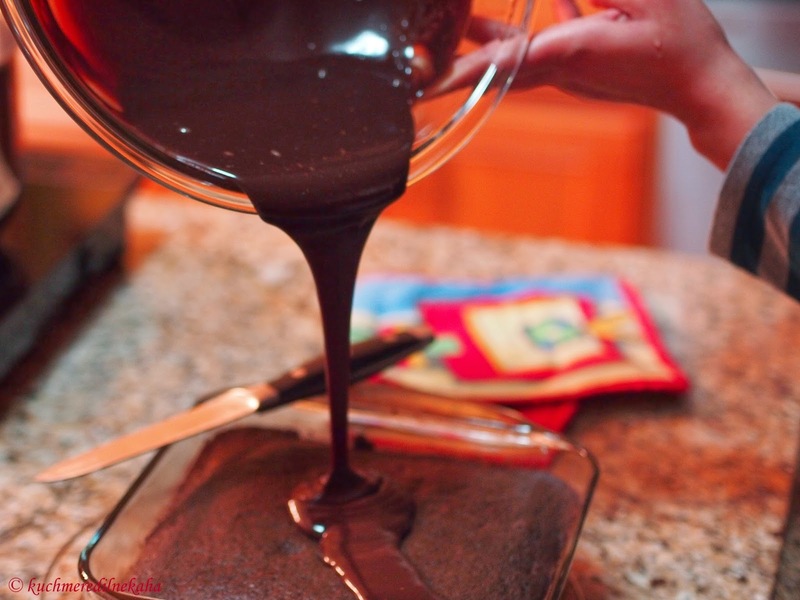 When both the cake has cooled and the ganache has cooled and thickened, pour the ganache over the cake. Wait for couple of hours for the ganache to set properly over the cake and thicken more. 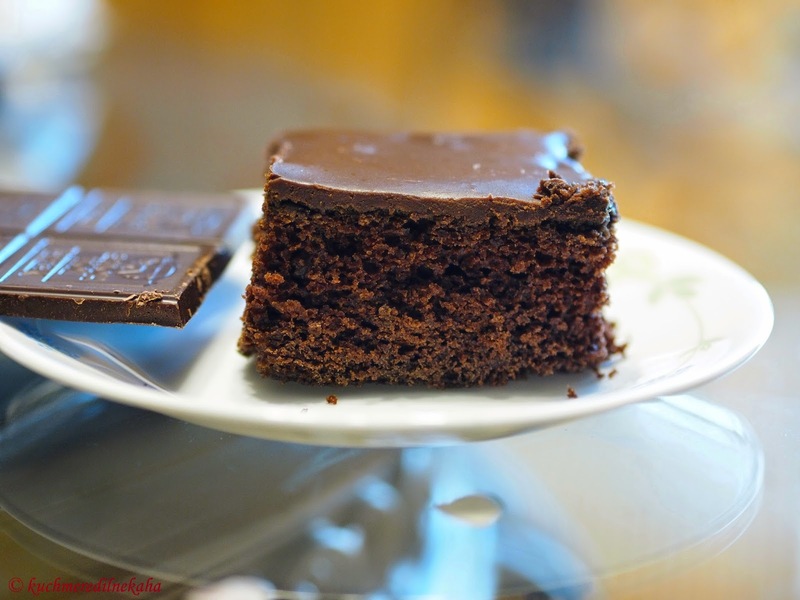 Once the cake and the ganache are set properly, you can serve the cake. 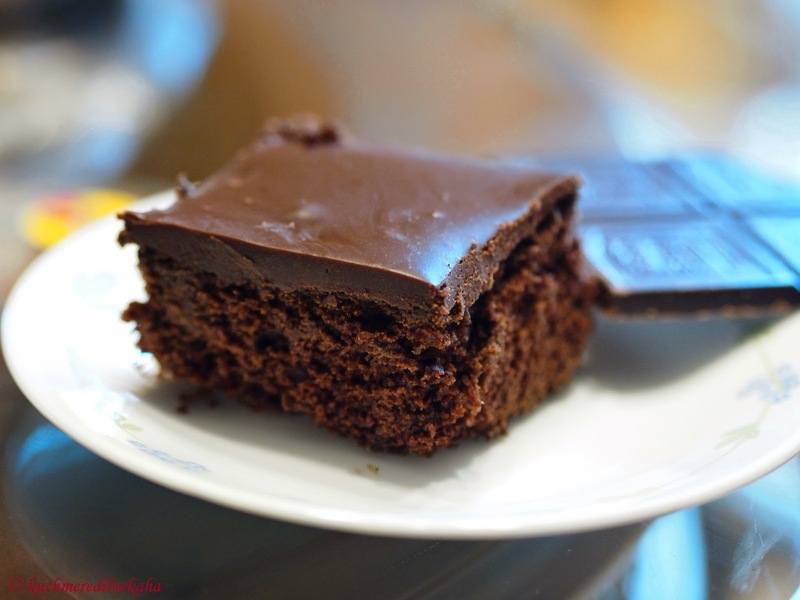 Once the cake and ganache have set well, cut in to pieces and serve. 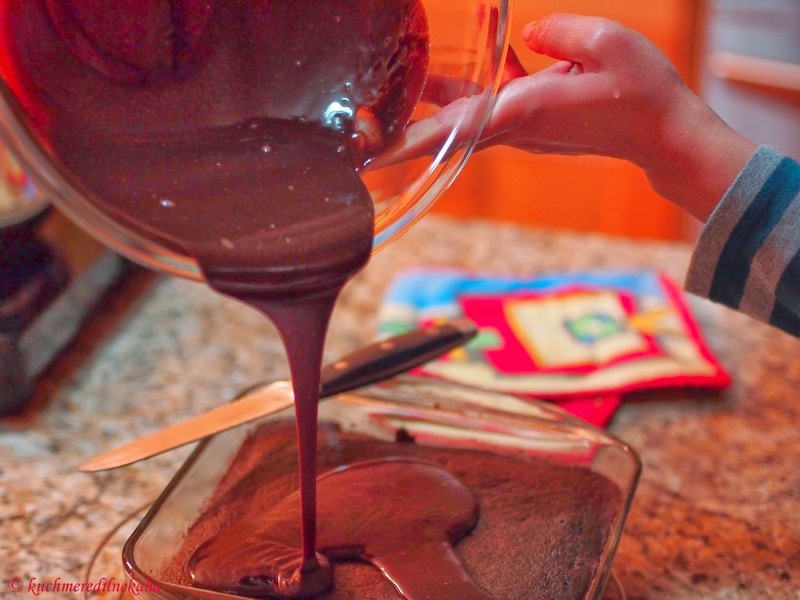 You may add additional toppings like colorful sprinkles or M&Ms for kids .